The prospect of being fired or laid off from your job is frightening and can be a life changing ordeal. In Pennsylvania the Pennsylvania Unemployment Act provides weekly benefits based upon the length of time that you have been working and the amount that has been paid into the Unemployment Compensation System on your behalf. The law provides, however, that the benefit is available under only certain circumstances. When the Department of Labor and Industry has made an Unemployment Compensation (UC) eligibility determination both parties, the worker and the employer, will be sent a copy of the determination. The worker or the employer may request a hearing before a UC Appeals Referee by appealing a determination issued by the Department within 15 days of the mailing date of the determination. The issues relating to a worker’s entitlement to unemployment benefits can be very complex, and often the initial decision by the Department is incorrect. When the worker or the employer files an appeal to the UC Referee, the Referee will hold a hearing and review the testimony of the parties and any other evidence, and then render a decision. It is important to have an experienced attorney represent your interests at this hearing. 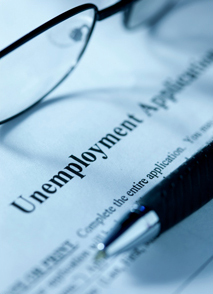 The attorneys at Cody & Pfursich are thoroughly familiar with the Pennsylvania Unemployment Compensation Act, and we are available to help with filing the appeal and representing your interests at any hearing. We look forward to hearing from you.